This e-book may be freely downloaded for personal use but is otherwise subject to all the provisions and restraints of applicable copyright law. 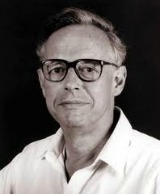 Mervyn McLean (1930- ) is a retired associate professor of ethnomusicology from the University of Auckland where he taught for 20 years in the Departments of Anthropology and Music, and served also as founder and Head of the university's Archive of Maori and Pacific Music. For more than twenty years the standard view among anthropologists has been that Polynesians evolved from a group of settlers known as Lapita people whose characteristically dentate-stamped pottery has been found on numerous mostly Melanesian sites, and who entered Fiji more than 3000 years ago from a starting point in the Bismarck Archipelago. An alternative view that champions Micronesia as a primary area of origin for Polynesians has been in limbo as a result of the prevailing theory, but is reappraised in the present book and found once again to be in contention. The book takes an historical view of theories of origin, and provides some account of methodologies used by scholarly disciplines which have been brought to bear on the subject, including evidence from music and dance, which forms the core of the book. Two formats are available. The book can most conveniently be read online, and a downloadable paginated version is also supplied here. When the present writer began field work on traditional Maori music in 1958, the diverse fields of Music and Anthropology were only just beginning to converge. Unknown to me as I made my very first recordings in the Bay of Plenty area of New Zealand, the ethnomusicologist Alan P. Merriam was working on his epoch-making book, The Anthropology of Music (1964) in the United States. This book later became my bible as I undertook more research and worked on a PhD, only the third, I was told to be awarded on the subject of Music in New Zealand. These were pioneer days for the discipline of Ethnomusicology, and everything about it at the time was new, especially as it related to Anthropology. 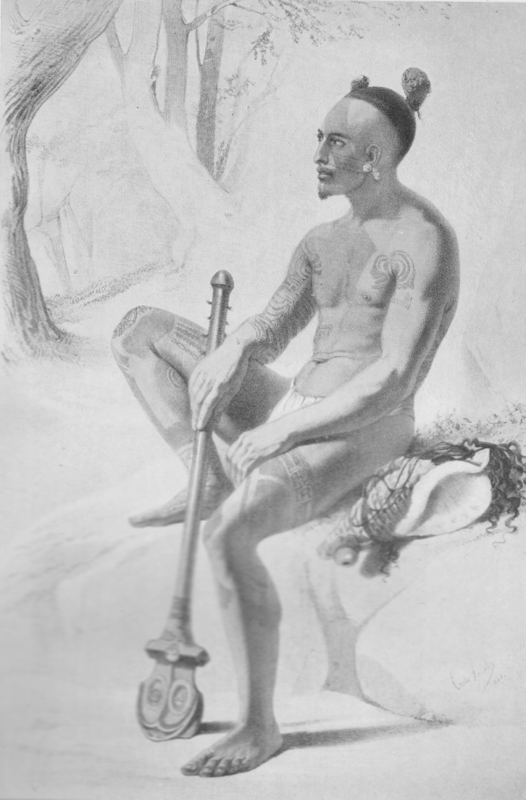 But it soon became apparent to me that it could make a significant contribution on issues that had occupied Pacific scholars for at least a hundred years, including the vexed question of "The Coming of the Maori" as articulated at this time by the ethnologist Sir Peter Buck (Te Rangi Hiroa), and further back still the origins of the peoples of Polynesia, whose remarkable history was equally the subject of debate. European discovery of the Pacific did not begin until at least half a millennium after Polynesians had conquered the last frontier of this vast ocean expanse by reaching New Zealand. More impressive still is an even greater time depth of at least three thousand years since pre-Polynesians are believed to have ventured out of SE Asia to begin their journeys into what is now known as Remote Oceania. Their story has been the subject of numerous books and articles, and theories about where they came from have proliferated since the first encounters with Polynesians by European navigators in the eighteenth century. Some of the theories are mere flights of fancy and can readily be dismissed; some which once seemed credible have now been disproved; some can best be regarded as half true; and others are still the subject of debate. Prominent among them is a deeply embedded current view, which has gained currency over the past thirty or so years and is now subscribed to by most anthropologists. 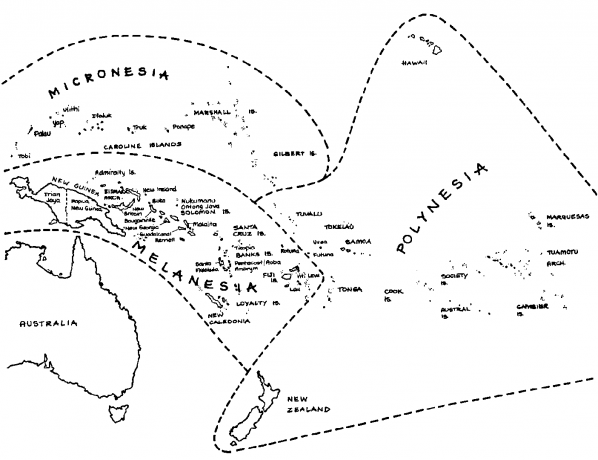 According to this view, Polynesians evolved from a group of pre-Polynesian settlers known as Lapita people whose characteristically dentate stamped pottery has been found in numerous archaeological sites stretching from the Bismarck Archipelago on the eastern fringe of Papua New Guinea south-eastwards through Island Melanesia to Fiji, and from there to nearby Tonga and Samoa in Western Polynesia. The literature on Polynesian origins and information bearing upon it is so vast it may well be asked why burden the reader with yet another book about it, and, from the author's point of view, why bother to write one? The answer quite simply is that among the numerous attempts to solve the problem there are many loose ends, and it is time for review. The current orthodoxy, while standing the test of time in most respects, is now in need of adjustment; musical evidence has not so far been taken into account; and some past ideas are worth re-visiting. The present book takes an historical view of the issues, summarising and evaluating theories of Polynesian origin from the eighteenth century onwards, providing some account of methodologies used by scholarly disciplines which have been brought to bear on the subject, and data so gained, including evidence from music and dance, which forms the core of the book. The results, as will be seen, call to question the orthodox theory of Polynesian origin from Lapita potters. Two main considerations underlie the discussions to follow. The first is that the peoples spoken of were maritime members of the Austronesian language family, dependent for all but local communication upon sea-going canoes. As a result they were constrained by barriers such as sea gaps, and cultural complexes of a regional nature emerged in consequence. For subsistence they were dependant primarily on the produce of the sea, upon near and off-shore fishing, and upon shell fish and other coastal resources. Horticulture and domestic animals were fully exploitable only on high islands, and were meagre or in some cases absent altogether in atolls which were the predominant environment in Micronesia and in the Polynesian Outliers. Second to be considered is exactly what happened when people ventured beyond the boundaries of their own local regions. It is inaccurate to label these excursions as migrations except cumulatively over a period of time. Captain Cook saw flotillas of canoes in Tahiti, on one occasion in 1778 of war canoes (Bellwood 1978a:298), and on another bearing 'Arioi entertainers to adjacent nearby islands, and Maori oral tradition speaks of a "Fleet" of seven canoes that were once thought to have brought the Maori people to New Zealand. But the flotillas seen by Cook were a local development of the Society Islands with no precedents in Western Polynesia, and the idea of a Maori Fleet has long since been discredited. The reality is that only one or two canoes at most would have gone on voyages of exploration or discovery at any one time, and generations could elapse before another might follow. Finally one must consider the most likely result when such a canoe reached landfall. Much would depend upon whether or not the arrival place was already occupied and whether the inhabitants were willing to accept newcomers. Some idea of ensuing interactions can be gained from the reception given to European explorers when first contact was made with Polynesians. Bougainville spoke of willing women in Tahiti who were "quick to caress"; Tasman was attacked at what is now called Golden Bay in New Zealand and sailed away in disgust after naming it Murderers' Bay. Polynesian visitors to far shores would have experienced a similar range of reaction, repeated over and over again through thousands of years of encounters in many places. The end result, which scholars have tried to unravel, is a vast mosaic of criss-crossing lines of influence and communication, some old and some new, which together have led to current distributions of peoples and items of cultural inventory. As the following chapters will show, to solve the problem of Polynesian origins, some account needs to be taken of them all. Since the Pacific islands were first visited by Europeans there have been many changes of name. Some of the earlier names are so long obsolete as to be barely remembered. No one, for example, refers any more to Hawai'i as the Sandwich Islands or to Samoa as the Navigators Islands. The most recent changes, however, are more problematic for readers. Some affecting the more familiar tourist destinations are better known than others. Among these are Vanuatu, which used to be called the New Hebrides, and Tuvalu, formerly known as the Ellis Islands. Name changes in Micronesia, however, have had less publicity and will be unfamiliar as yet to many readers. This poses a problem for the book because most of the literature refers to these places by their old names. It would be confusing to keep changing from one to the other, so I have reluctantly decided to keep to the former names in most of the writing. Older province names in Papua New guinea have also been retained, again to avoid conflict with older literature. There have been a number of recent changes to the name for the large Indonesian-administered western half of New Guinea. Formerly Dutch New Guinea, then Irian Jaya, it is now most often referred to as West Papua, and I have adopted this usage. It should be noted, however, that the term Papuan does not refer exclusively to the inhabitants of West Papua but applies also to speakers of non-Austronesian languages in Papua New Guinea and some areas of Island Melanesia. A glossary of island name changes has been provided as Appendix 3. The terms 'Melanesian' and 'Papuan', which appear in the literature in numerous contexts, are especially problematic. 'Papuan' is the term commonly used for the longest-established occupants of New Guinea who speak non-Austronesian languages. It is enshrined within the names for both western and eastern halves of New Guinea, the Indonesian-administered area of West Papua, and the independent nation of Papua New Guinea. The term 'Melanesian' is sometimes loosely used to distinguish Austronesian speakers from Papuans, but in its original sense of 'black-skinned peoples' it is an umbrella term for both groups of languages. But it is the Austronesian-speaking occupants of Island Melanesia who became Lapita potters, and it is they who receive most attention in the book. Difficulties of dating and problems arising from them are discussed later in the book. At the outset, however, it needs to be noted that no date estimate, however derived, can be regarded as absolute, and radiocarbon dates, in particular, are constantly under review. The dates cited throughout most of the book are those most generally accepted in literature published up to about 2003. A then standard benchmark date of about 2000 BP has in consequence been retained for first settlement of Eastern Polynesia, but with no expectation that this will endure. In early January 2011, a flurry of media announcements appeared about newly calculated radiocarbon dates which called the old date to question and set the colonisation of Eastern Polynesia a thousand or more years later than previous estimates. The paper concerned (Wilmshurst et al. 2011) has obvious relevance for the present book, and discussion of it has accordingly been introduced at appropriate points.